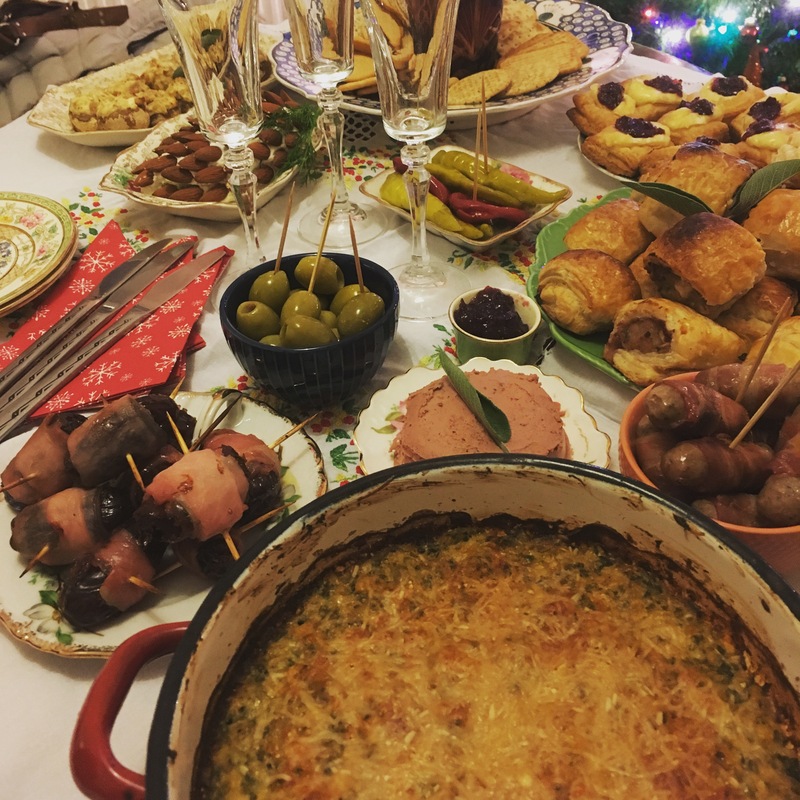 This here is a photo of the spread my sister put on for our tiny Christmas Cocktail get-together. So much effort, love and generosity of spirit was laid out on this table which to me, is the true spirit of the season. I realised this year that my failed attempts to relax at this time of year were terribly misplaced. This is no time to relax! Christmas is a time to gather your energies for one final hurrah before the winter closes in. Christmas is time to bake, make and shake your bootie, it’s time to wizz around getting last minute gifts and wrap them up in shiny paper. It’s a time to eat a little more, drink a little more and love a little more. So this year I decided that instead of trying desperately to relax and failing miserably, I was going to rev things up and take a flying leap into the festive season knowing that it’s after the gifts have been unwrapped and the turkey has all been scoffed, that it’s time to put my feet up. Have a cracking Christmas, I look forward to sharing more recipes, reviews and shout-outs in the new year. Let’s hope we lose fewer musical icons and gain a more loving and accepting perspective in 2017.